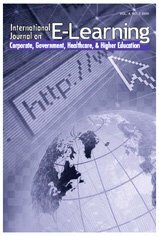 This paper describes the organisational development of virtual learning in networked rural schools in New Zealand, specifically the obstacles that e-learning clusters of rural schools face in their journey to sustainability and maturity through the lens of the Ministry’s Learning Communities Online Handbook. Analysis of a nationwide purposeful sample identified three common barriers: a lack of a coherent vision; difficulty in sustaining necessary funding and resources; and of the need for more collaboration within and between clusters. Based on these findings, it is recommended that VLN e-learning clusters develop specific strategies to encourage greater collaboration between schools and work towards greater consistency between their activities, including professional and organisational development and also of the approaches to virtual learning. Barbour, M., Davis, N. & Wenmoth, D. (2016). Primary and Secondary Virtual Learning in New Zealand: Examining the Process of Achieving Maturity. International Journal on E-Learning, 15 (1), 27-45. Waynesville, NC USA: Association for the Advancement of Computing in Education (AACE). Retrieved April 24, 2019 from https://www.learntechlib.org/primary/p/40554/. Archambault, L., & Crippen, K. (2009). K-12 distance educators at work: who’s teaching online across the United States. Journal of Research on Technology in Education, 41(4). 363-376. Barbour, M.K., & LaBonte, R. (2014). State of the nation study: K-12 online learning in Canada. Cobble Hill, BC: Canadian E-Learning Network. Retrieved from http://canelearn.net/wp-content/uploads/2015/10/StateOfTheNation2014.pdf Beck, D., & Maranto, R. (2014). Empowering teachers? An exploratory study of personnel practices in virtual charter schools in the United States. Journal of Open, Flexible and Distance Learning, 18(2), 59-81. Blomeyer, R.L. (2002). Online learning for K-12 students: What do we know now? Naperville, IL: North Central Regional Educational Laboratory. Retrieved from http://www.ncrel.org/policy/pubs/pdfs/pivol11.pdf Clark, T. (2000). Virtual high schools: State of the states-A study of virtual high school planning and preparation in the United States. Center for the Application of Information Technologies, Western Illinois University. Retrieved from http://www.ctlt.iastat E.
Davis, N.E., & Niederhauser, D.S. (2005). Socio-cultural analysis of two cases of distance learning in secondary education. Education and Information Technologies, 10(3), 249-262. Ferdig, R., & Cavanaugh, C. (2010). Lessons learned from virtual schools: Experiences and recommendations from the field. Vienna, VA: International Association for K-12 Online Learning. Lai, K.W., & Pratt, K. (2010). Technological constraints and implementation barriers of using videoconferencing for virtual teaching in New Zealand secondary schools. Journal of Technology and Teacher Education, 17(4), 505–522. LeCompte, M.D., & Preissle, J. (1993). Ethnography and qualitative design in educational research (2nd ed.). San Diego: Academic Press. Mackey, J., Davis, N.E., Stuart, C., Henderson, B., Rickard, K., Lye, A., Jeffries, T., & Simpson, P. (2015). Leading a technology rich school. SET: Research Information for Teachers (2), 17-25. Powell, A., & Patrick, S. (2006). An international perspective of K–12 online learning: A summary of the 2006 iNACOL international e-learning survey. Vienna, VA: International Association for K–12 Online Learning. Pullar, K., & Brennan C. (2008). Personalising learning for secondary students working in a blended (distance/face to face/vocational) learning environment. Computers in New Zealand Schools, 20(2), 6-16. Reeves, T.C. (2000). Socially responsible educational technology research. Educational Technology, 40(6), 19-28. Reeves, T.C. (2003). Storm clouds on the digital education horizon. Journal of Computing in Higher Education, 15(1), 3-26. Rice, K., & Dawley, L. (2007). Going virtual! The status of professional development for K-12 online teachers. Boise, ID: Boise State University. Retrieved from http://edtech.boisestate.edu/goingvirtual/goingvirtual1.pdf Roberts, R. (2009). Videoconferencing in distance learning: A New Zealand schools’ perspective. Journal of Distance Learning, 13(1), 91-107. Schrum, L., & Levin, B. (2012). Evidence-based strategies for leading 21st century schools. Thousand Oaks, CA: Corwin Press. Stevens, K. [Ken]. (1995). Geographic isolation and technological change: A new vision of teaching and learning in rural schools in New Zealand. The Journal of Distance Learning, 1(1), 32-38. Wenmoth, D. (1996). Learning in the distributed classroom. SET Research Information for Teachers, 2(4). 1–4. Wenmoth, D. (2011). Business case: Virtual Learning Network Community (VLN-C). Christchurch, New Zealand: CORE Education Ltd.
Wylie, C. (2012). Vital connections. Wellington, New Zealand: NZCER. Wylie, C. (2013). Improving learning opportunities. Why schools can’t do it on their own. SET: Research Information for Teachers, 1, 45-48. Zaka, P. (2012). Blended teaching and learning in a New Zealand rural secondary school using an ecological framework. Unpublished Master’s Thesis. University of Canterbury. Christchurch, New Zealand.